At Noire the Nail Bar, we believe our unique combination of experience, cleanliness, and great customer service is what sets us apart from the pack. Our clients deserve only the best, and we’re here to give that to them. From manicures to pedicures and innovative nail enhancement techniques, our nail spa is passionate about making you look and feel beautiful. With more than 60 years of combined experience, our staff at Noire the Nail Bar is among the most experienced in our industry. We have dedicated our time and careers to becoming the best nail techs and waxers possible, and we continue to improve every day. The second you enter our salon, you will be greeted with a friendly smile and a country club atmosphere. From our uniquely designed custom pedicure chairs to our fresh flowers around the salon, you are sure to feel pampered the moment you walk through the door. You absolutely will not find any other nail salon or waxing studio with our level of both expertise and talent. We have lived and learned nail design and maintenance, and have committed our lives to making people feel beautiful. Taking extensive hygienic measures every day, Noire the Nail Bar is among the most sanitary establishments in Nashville. We eliminate the use of jet water propulsion because this process takes at least 15 to 20 min to sterilize in the sterilization bath to eliminate bacteria and viruses. Other salon’s just spray the propeller and soak it at night.Instead, we take the step to cover our pedicure bowl with linen to protect our customer 100% germ-free and to prevent from cross contamination. We dispose of all our files and buffers after each use (which is not common practice in the industry) in order to ensure there is no cross contamination. After each service we perform, we double sterilize our equipment with both a wet sterilizer and a dry sterilizer in an effort to keep your experience here both safe and clean. We make a concerted effort only to hire the friendliest, kindest, most hard-working people in the business. 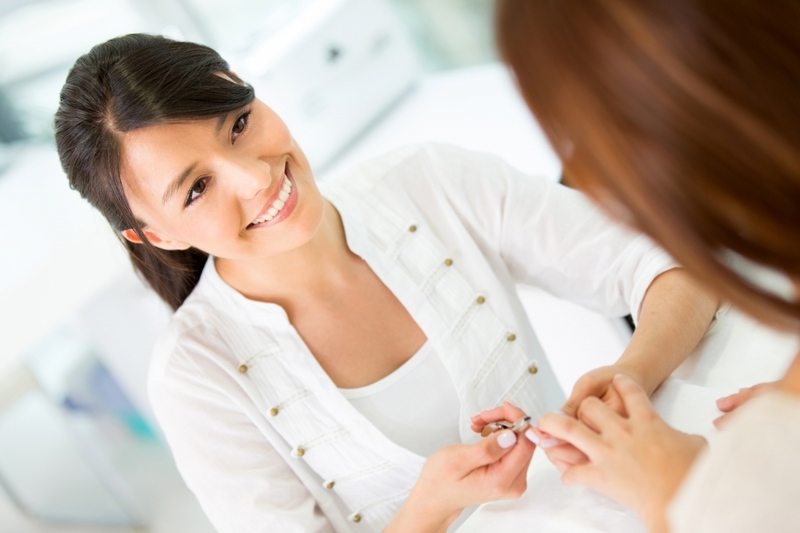 Every time you enter Noir the Nail Bar, you will be greeted with a smiling face and a comfortable atmosphere. Our lives’ mission is to pamper people and help them to feel both gorgeous and valued. We want to make our salon an oasis for you by establishing a welcoming and peaceful environment from the time that you walk in our door. Whether you visit our nail salon for a manicure, specialty pedicure, or wax, we’re here to help you feel refreshed and renewed. Please contact us today if you have any questions or would like to set up an appointment. Walk-ins welcome. Contact Our Nail Salon in Brentwood Today!